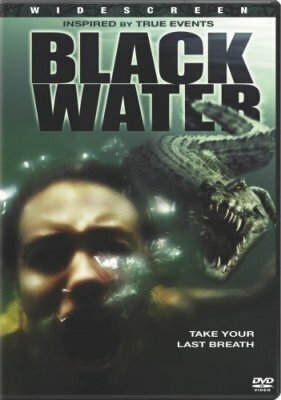 Why wasn’t I told about Black Water? Why did I have to stumble across it in the local video store? I need to know these things. Don’t you understand? I need to know. “Inspired by true events”? That tears it: I’m never going swimming again. And what’s with all the crocodile movies coming out of Australia all of a sudden? ((See also: Rogue.)) 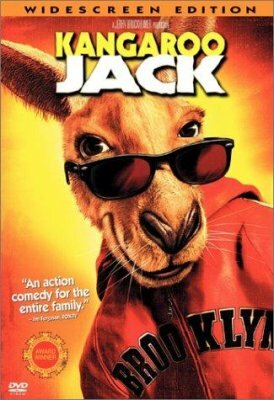 Shouldn’t they be making movies about marsupials? My love of monster movies is well established, but giant alligators and crocodiles occupy a special place in my—well, not heart, but certainly the reptilian center of my cinematic brain. Even more so than sharks, snakes and spiders (the latter of which creep me right the hell out, regardless of size) I enjoy movies that feature ridiculously huge crocodilians running rampant and treating the human race like an all-you-can-eat buffet. But, you might be thinking, how many such films can there possibly be? More than you might expect. The hastily-compiled list below contains a dozen of the finest man-eating reptile films from the past two and a half decades or so. I’ve seen nine of the twelve films and I hope to find and watch both Killer Crocodile, Killer Crocodile II and Krocodylus in the next couple of months. Yeah, I’m a bit of a completionist. Alligator (1980). It’s not really fair to say that Alligator followed hot on the heels of the grandfather of all When Animals Attack movies, Jaws; in fact, this first true star of the sub-genre arrived between Jaws 2 and Jaws 3-D. Where Jaws made viewers afraid to go into the water, Alligator (starring none other than Robert Forster) was a cautionary tale about flushing unwanted pets down the toilet. The beastie survives to become a crocodilian of unusual size by munching on hormonally-modified critters discarded by Science. As usual, when Science makes a mess, it’s up to the Robert Forsters of the world to play God’s janitor. Killer Crocodile (1989). Alas, I’ve not seen Killer Crocodile, but it stars Richard Crenna’s son, Richard (Anthony) Crenna, so how bad could it be? Killer Crocodile II (1990). The sequel, also starring Anthony Crenna, was shot back-to-back with the original, inspiring Peter Jackson to do the same when he shot the Lord of the Rings trilogy. Alligator II: The Mutation (1991). Is eleven years too long to wait for a sequel? Maybe not if you’re an Indiana Jones fan; they’ve been waiting 19 years, but at least they get their leading man back. Not so for Alligator fans. Robert Forster does not reprise his gator-asploding role in The Mutation, instead it’s up to Joseph Bologna to kill the rampaging reptile. Is eleven years too long to wait for a sequel? When it’s as bad as Alligator II, absolutely. Lake Placid (1999). Written by David E. Kelley (who created Ally McBeal and co-created Doogie Howser, M.D. with Steven Bochco) Lake Placid resurrected the giant crocodilian sub-genre, and just in time. Lake Placid is funny, ((Betty White (The Golden Girls) drops the f-bomb. That’s funny stuff, right there. Crass? Exploitative? Sure. But hilarious.)) 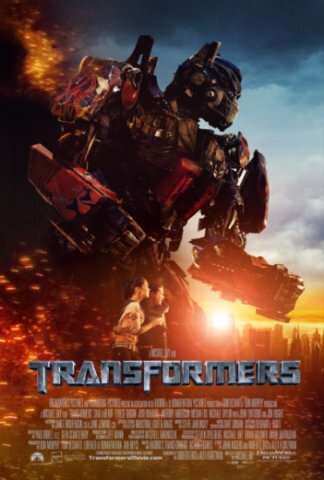 scary, has several jump-out-of-your-seat moments, and doesn’t skimp on the special effects. Easily my favorite killer croc flick. Krocodylus (2000). Also known as Blood Surf, this one apparently features double trouble: sharks and a giant saltwater crocodile. Sounds like Deep Blue Sea meets Lake Placid, but probably isn’t. Too bad. Crocodile (2000). Okay, kids, I’m only going to say this once: do not steal the crocodile eggs. Got it? Good. Crocodile 2: Death Roll (2002). When Martin Kove (Hard Time on Planet Earth, The Karate Kid) is the only person you recognize in a SciFi Saturday monsterfest, you’re not all that far from the bottom of the barrel. I don’t remember much about Crocodile 2, apart from a scene in which Kove and his bad guy buddies are eaten one by one at a pole shack in the middle of a swamp. Then again, what else do you really need to remember about a giant crocodile movie? Dinocroc (2004). Science has yet to learn that messing around with prehistoric DNA and recreating giant, carnivorous critters is an inherently bad idea. The men and women in the white lab coats always seem surprised when their bloodthirsty creations are aggressive and hungry and strong (or clever) enough to escape. On the other hand, scientists are great appetizers. Alas, while Dinocroc borrowed the basic plot from Jurassic Park, the SciFi Channel appears to have been borrowed the special effects budget from The Land Before Time XIII: The Wisdom of Friends. Supergator (2007). Science strikes again! This time, it’s Kelly McGillis in the lab coat and Brad Johnson (no relation) cleaning up the mess. Supergator is a sequel to Dinocroc in everything but name: same plot, same monster, same bad special effects. Lake Placid 2 (2007). Brought to you by the SciFi Channel—the same folks who unleashed Mansquito and Hammerhead: Shark Frenzy on the world—the sequel lacks everything that made the original so entertaining. Standing in for the cantankerous, foul-mouthed Betty White is Frau Blücker herself, Cloris Leachman, who plays Betty’s crazy sister. Meanwhile, John Schneider (AKA Bo Duke, or Pa Kent for you young’uns) is the sheriff who must save his daughter and her friends (not all of them, mind you) from the giant crocs Cloris has been feeding in her backyard. Primeval (2007). Inspired by actual events. That’s not the same thing as “based on a true story”, but it’s interesting to note that Gustave, the giant crocodile depicted in the film, really exists and is thought to be responsible for upwards of three hundred deaths on the banks of the Ruzizi River in Burundi, Africa. Primeval comes in a very close second on my list of top croc (and gator) movies. It’s not as funny as Lake Placid, but it’s beautifully shot, has some very nice special effects—Gustave is entirely computer-generated according to the “making of” feature on the DVD—and provides an interesting perspective on the origin of the beast. My major gripe: the girl goes back for the dog. Why do they always go back for the damn dog? Big things are happening over at The Secret Lair. Yeah, there’s another movie episode, but more impressive than a couple of geeks blathering on about Night Watch and Justice League: The New Frontier is the new masthead ((Call it a banner, if you prefer, or even a logo; your fancy words don’t detract from the sheer coolness of the thing.)) on the website. Designed by Natalie Metzger, the Lair’s official Secretary of Artistic Propaganda, the graphic features a skull-topped mountain looming large in front of the Cleveland, Ohio skyline at dusk, its stony eye sockets glowing malevolently as the masterminds and minions who call the craggy cranium their base of operations toil within the mysterious chambers hidden deep within. So visit the site. Download the newest episode. And if you know what’s good for you, tell Natalie how truly magnificent the new masthead is, or the next time you see those glowing eyes it will be in the company of one of our Retrieval Squads. SCI FI Wire has a blurb about Shia LeBeouf announcing the title of the new Indiana Jones movie at the MTV Video Music Awards last night. Sure, it’s got a pulpy, movie serial feel to it, but hasn’t Harrison Ford already done crystal skulls? Well, no. But yes. Sort of. 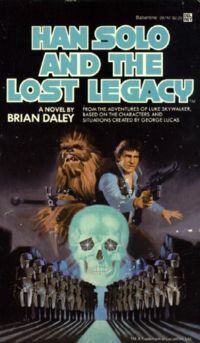 Star Wars fans may recognize the cover of Han Solo and the Lost Legacy by the late, great Brian Daley, published way back in 1980. As long as I’m on the topic of Star Wars, I may as well invoke that old familiar quote: I’ve got a bad feeling about this. But I’ll be thrilled if Lucas, Spielberg and Ford prove me wrong.